Does anyone listen to new reggae or rock/reggae, along the likes of Rebelution, Iration, The expendables, pacific dub, through the roots, tribal seeds, slightly stoopid, soja, matisyahu. anything chill along those lines? and if so, you guys should start tabbing it out for me! I am an intermediate player, but i cant pick up a song and know what they are playing. any tips or help for that? other than time and keep playing? have a read up on music theory, all you actually need to know is how scales and keys work. Once you figure out in which key a song is, it really narrows down the options to figure out a bass line. One easy way to tab songs is to check if you can find guitar chords for the song. A lot of times the bass lines follow these chords - e.g. check out which notes are in that chord and try playing those notes, see what fits. I wrote something about this here in this forum.. I'll see if I can find it and link it. Learning scales really is useful. Apart from just knowing to play scales, you should also learn how to construct chords from scales (i.e. 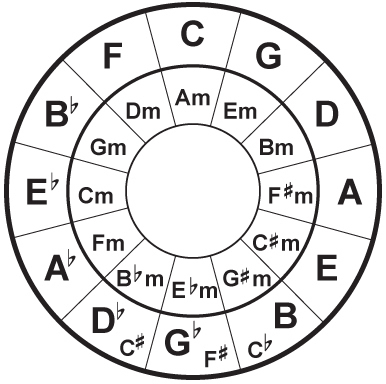 which notes of a scale to put together to form a chord). When you learn this, you'll figure out exactly which chords go into which scale and when you'll see a chord progression you'll immediately know which key the song is. Let's say you wanna tab out a song and you know that the chords are C Am F and G.
Looking at the notes of these chords you can see that only the notes of the C Major scale were used to make them (C D E F G A B ). Or even better yet. The easiest way (and usually correct) way to figure out what key a song is in is this: listen to the very last chord of the song, the one the song resolves to. When guitar chords are displayed this usually isn't there but, for example if you would play the song Those Magic Changes and finish on the G Major chord you will leave the song hanging in the air, waiting for it to resolve on the C (three times in this particular song to do the cha-cha-cha thing ) which is the key of the song. Some of thse chords are major and some are minor because some have a major 3rd and some a minor third. So if you know the notes of any major scale you can construct the chords just by using this formula (uppercase roman numerals mean it's a major chord, lower case mean it's a minor).